Share important events and dates easily and seamlessly. All you need is the code snippet to be published on your QuickSchools Account. 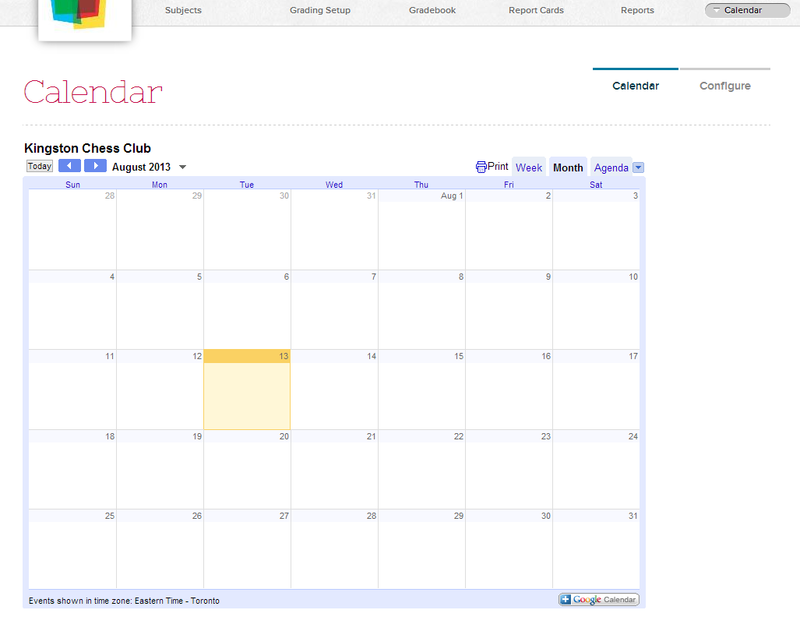 To find this, check with your calendar service about how to publish your calendar to another site. Google Calendar users may find the following link helpful - Adding Google Calendar to your Website. Then go to the App page by clicking into it from your menu bar. Click the "Configure" tab, then paste your code snippet into one of the boxes for the School-Wide, Teacher-Only, or Administrators-Only calendars. Your calendar will now appear 'embedded' in the Calendar link in the appropriate users' menu bars. Come chat with us if you have questions or would like more details.